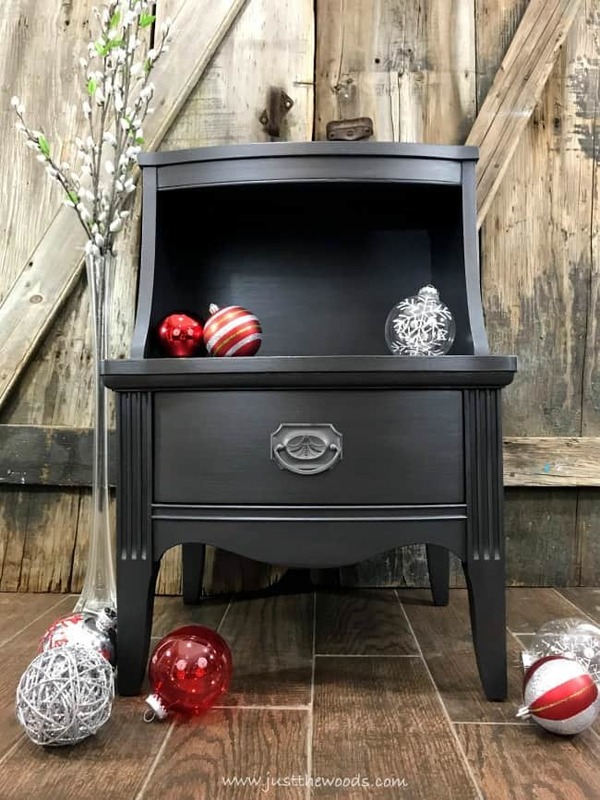 20 year old Broyhill oak dresser painted with black chalk paint then white chalk paint. 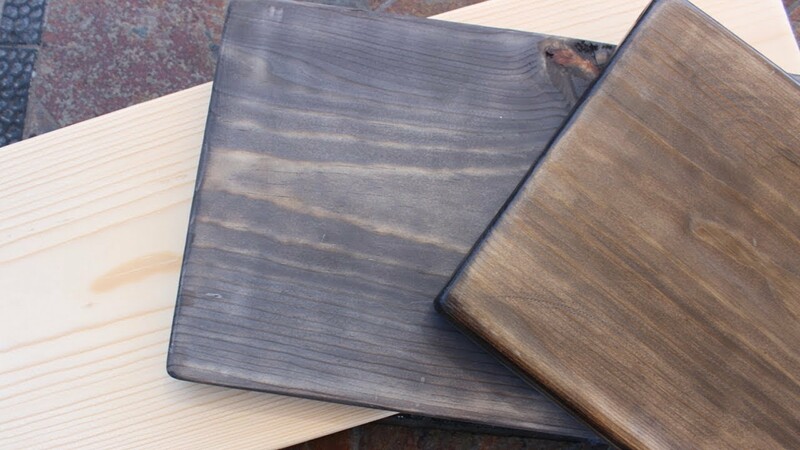 Distressed edges to bring through the black. 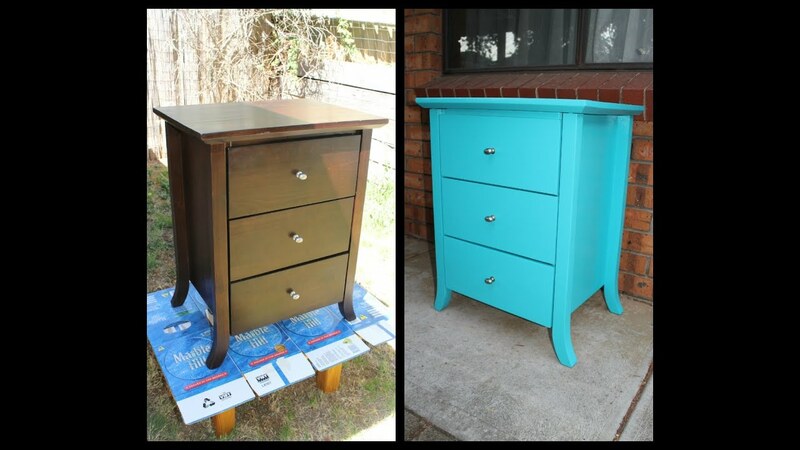 Upcycled, repurposed and reloved DIY! 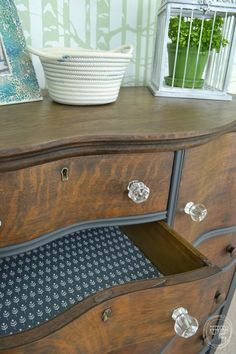 This oak dresser. 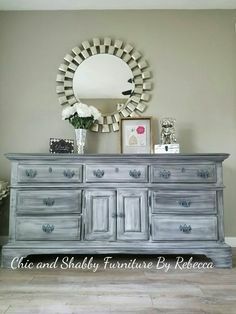 Gray chalk paint, black glaze for a beachy, shabby look. 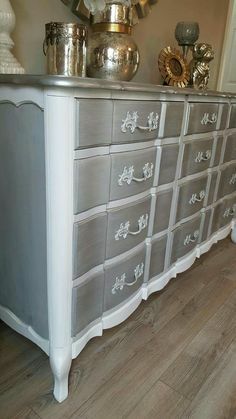 Silver knobs and done! 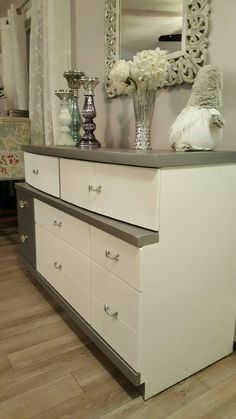 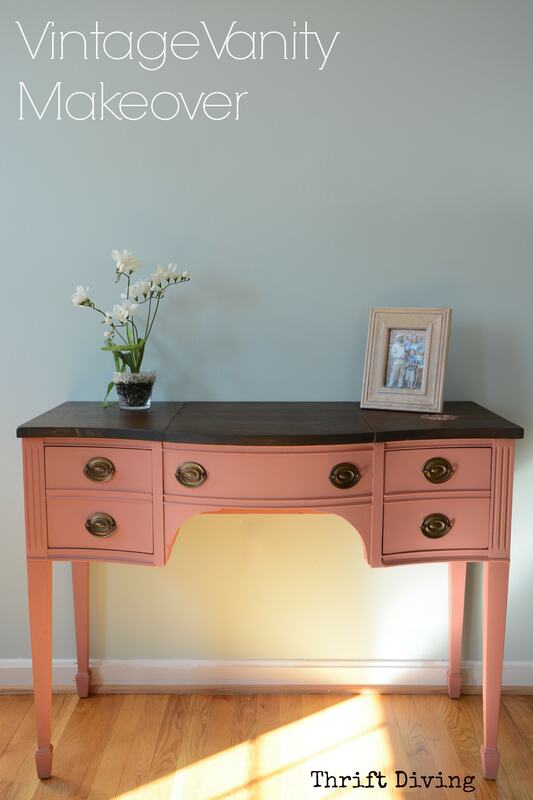 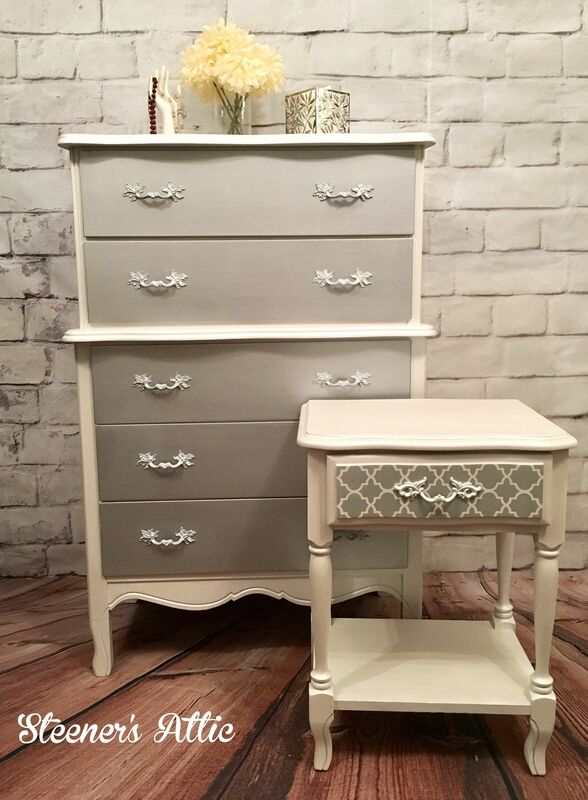 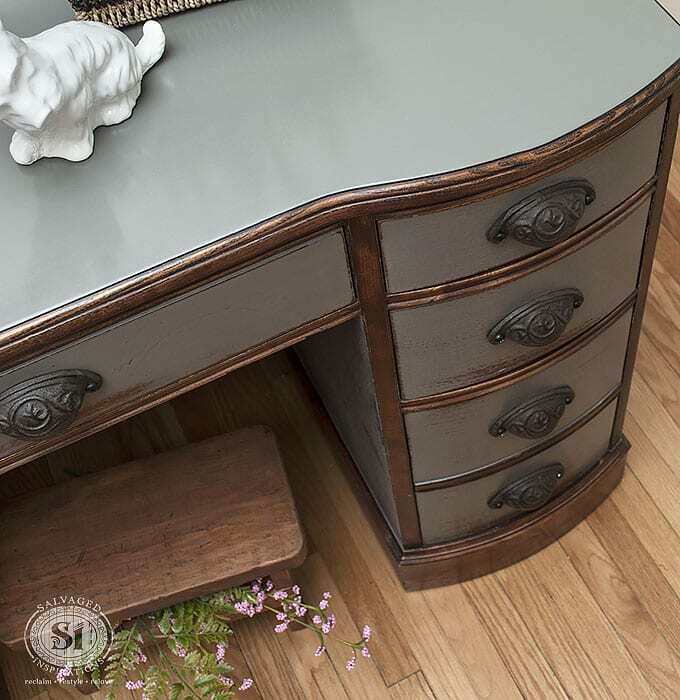 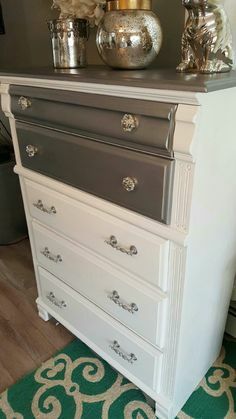 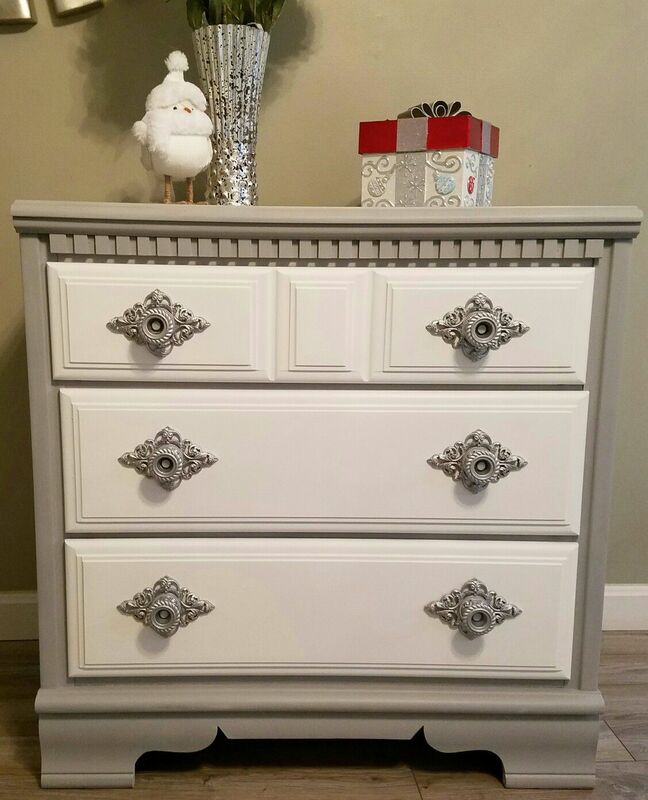 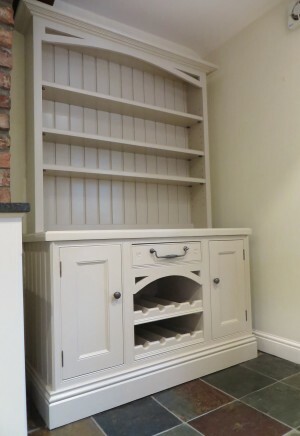 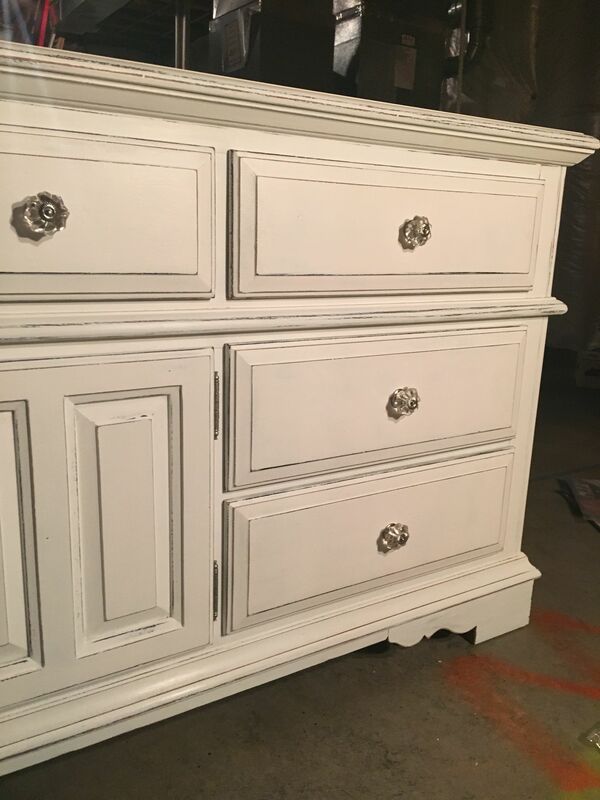 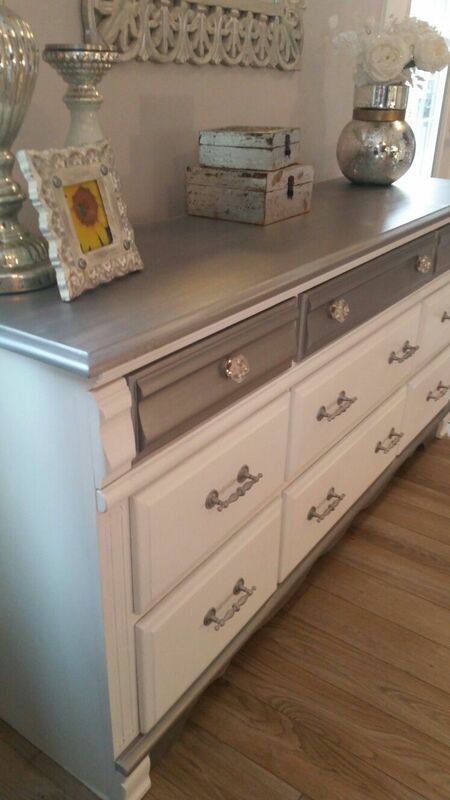 This french provincial dresser buffet was done in a soft gray chalk paint. 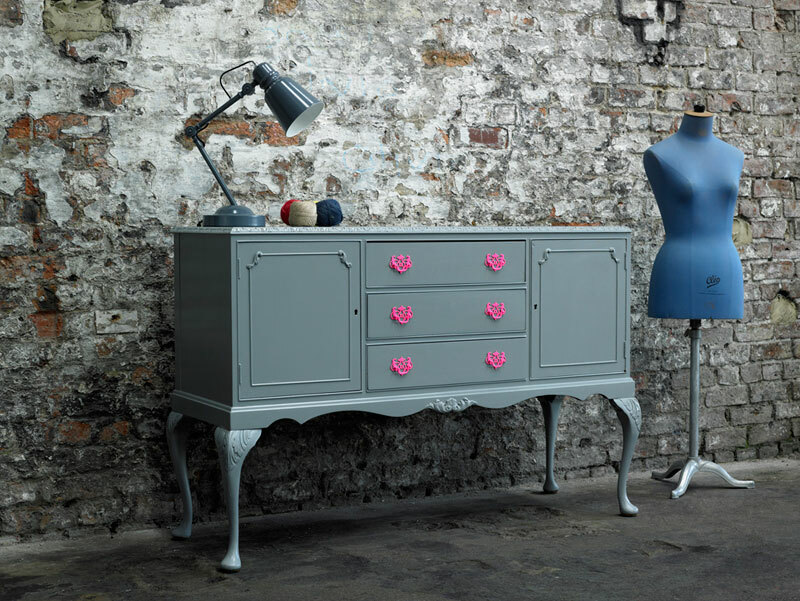 These knobs are amazing! 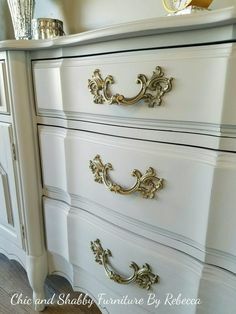 Done with a soft spray of gold just love them! 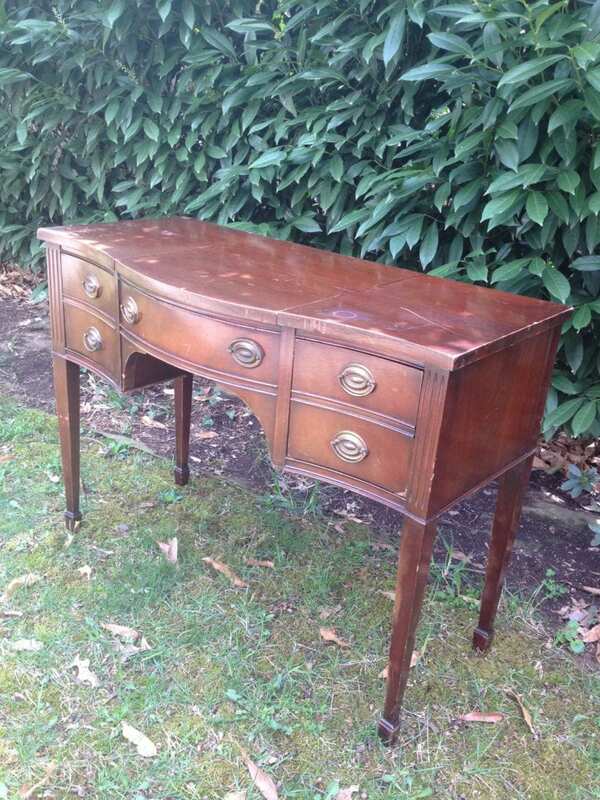 Beautiful Side Server in Georgian Cherry and Antique White. " 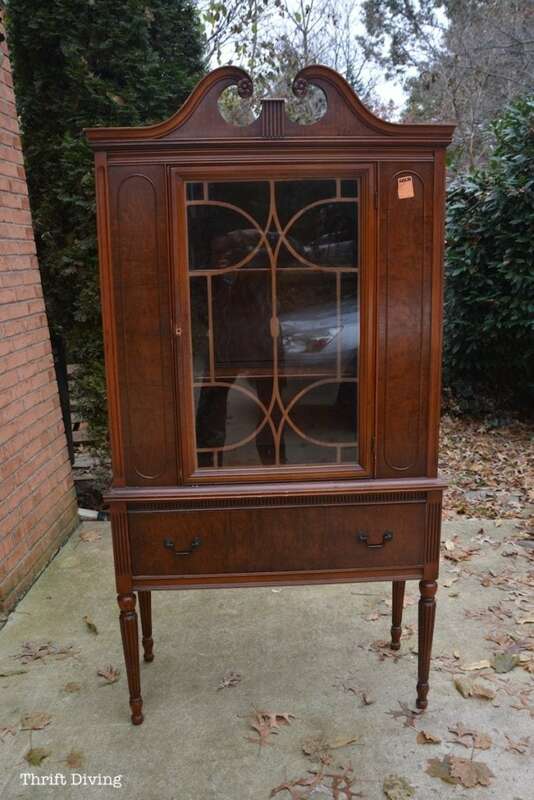 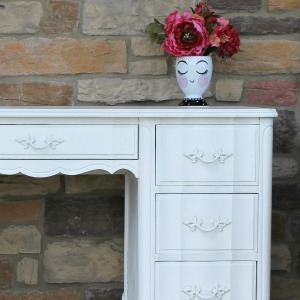 Antique White China Cabinet Upcycle. " 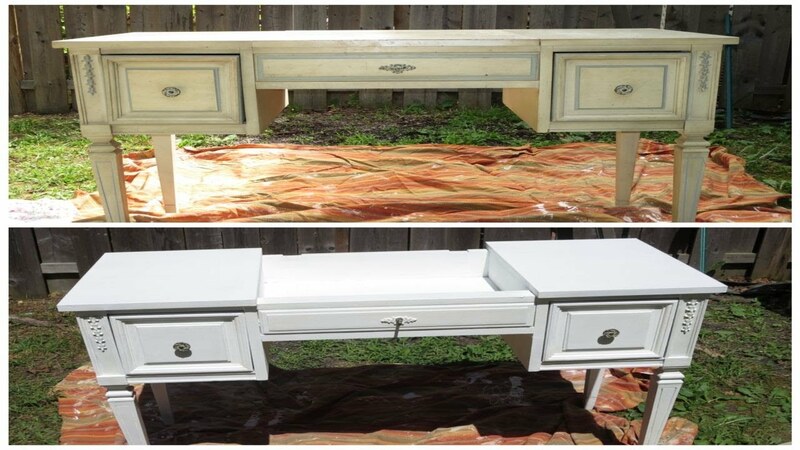 Dresser Set in Antique White & Antique Walnut. " 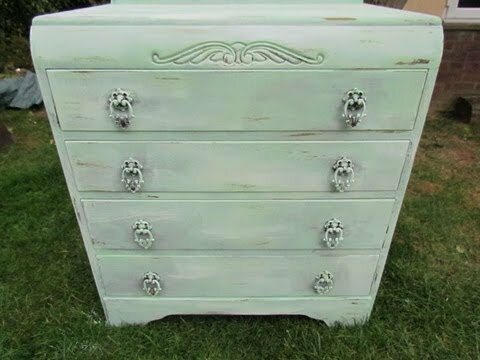 Antique Chest of Drawers in White. " 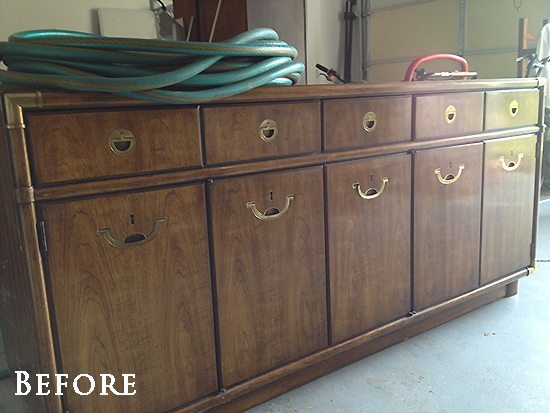 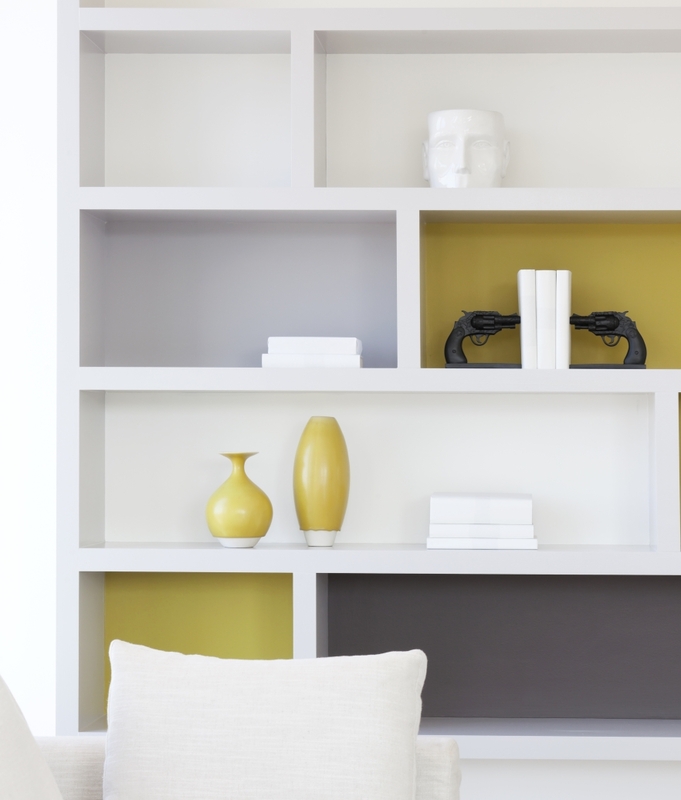 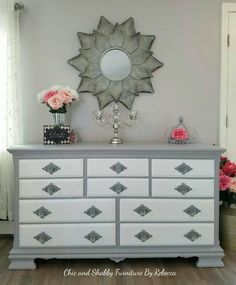 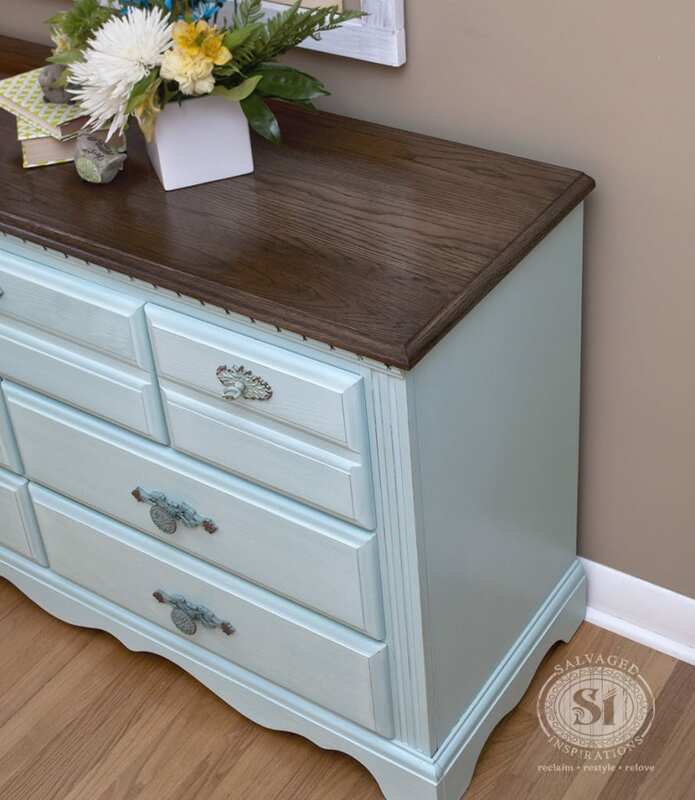 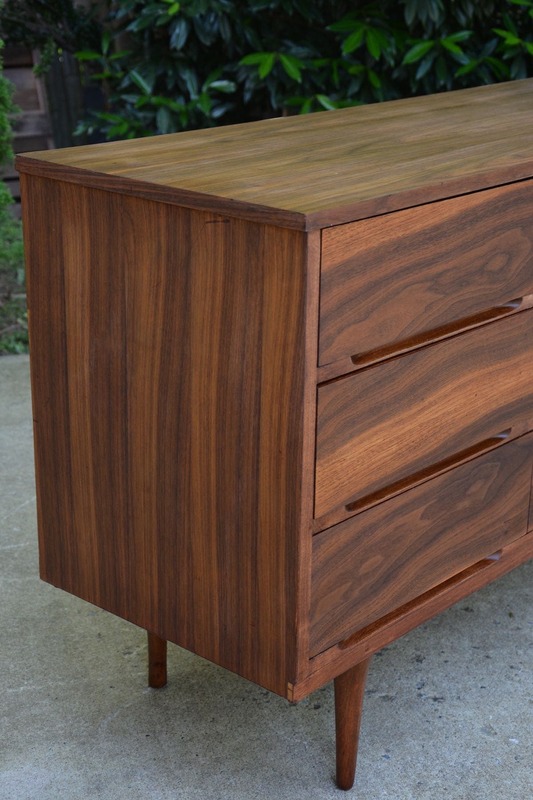 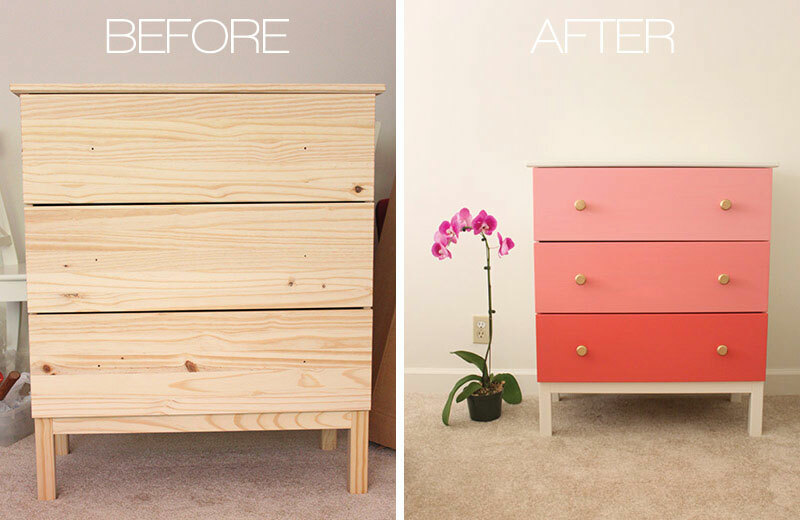 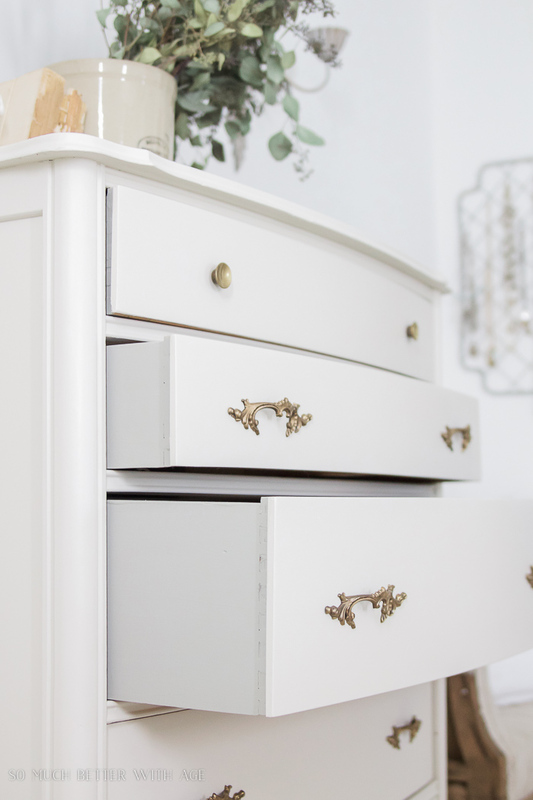 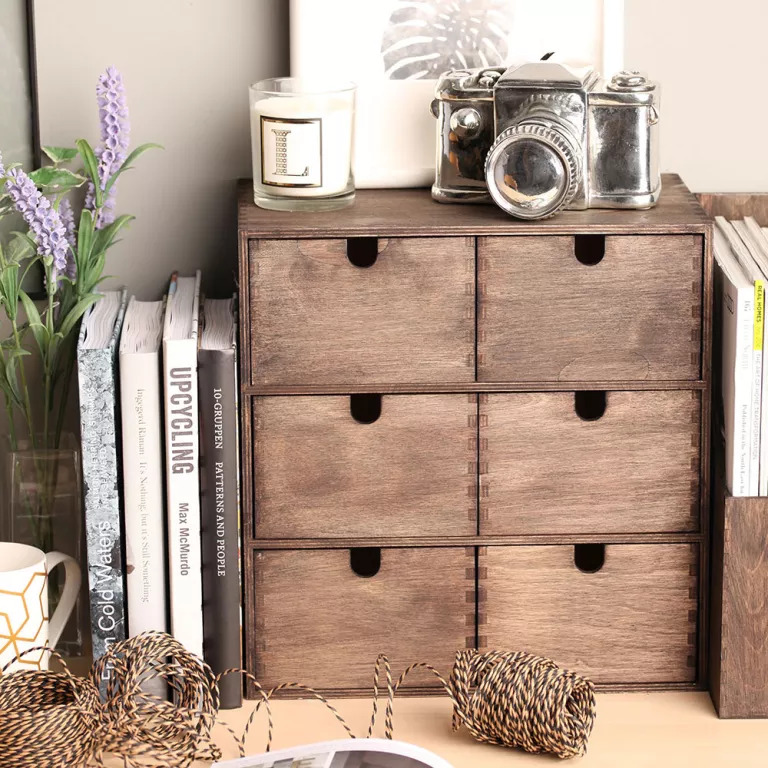 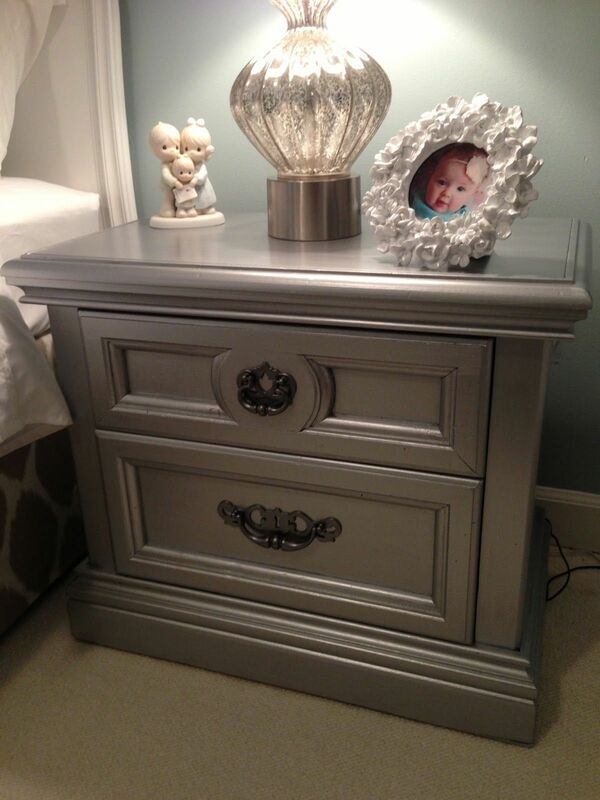 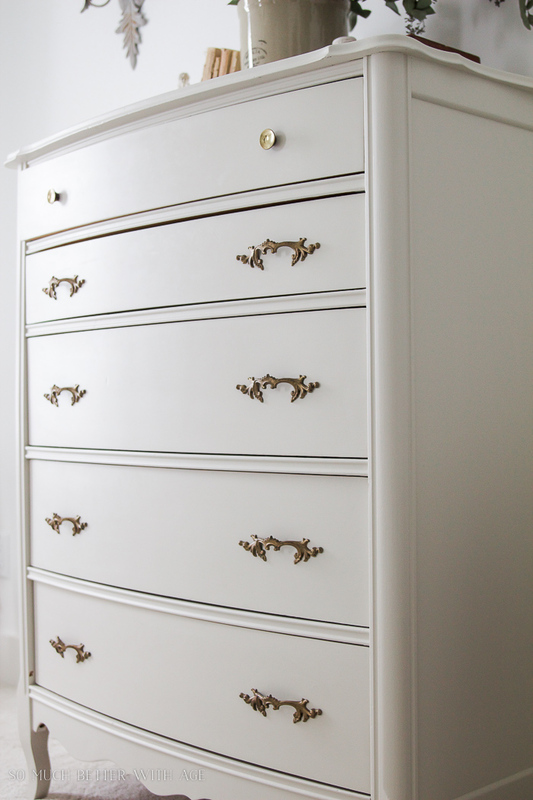 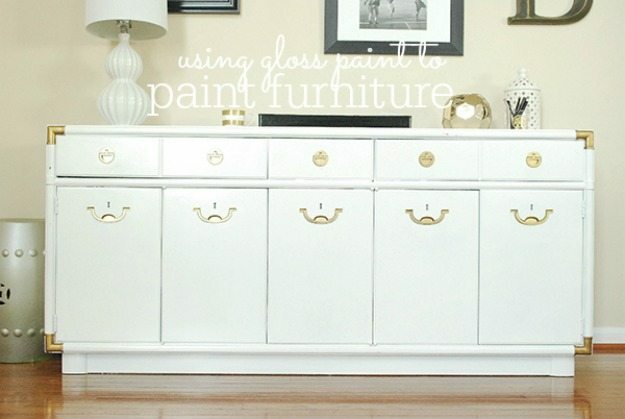 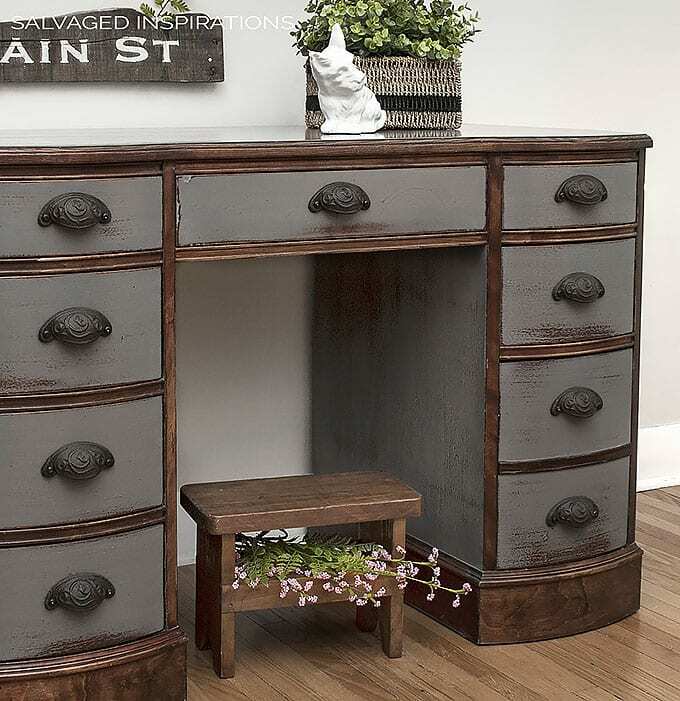 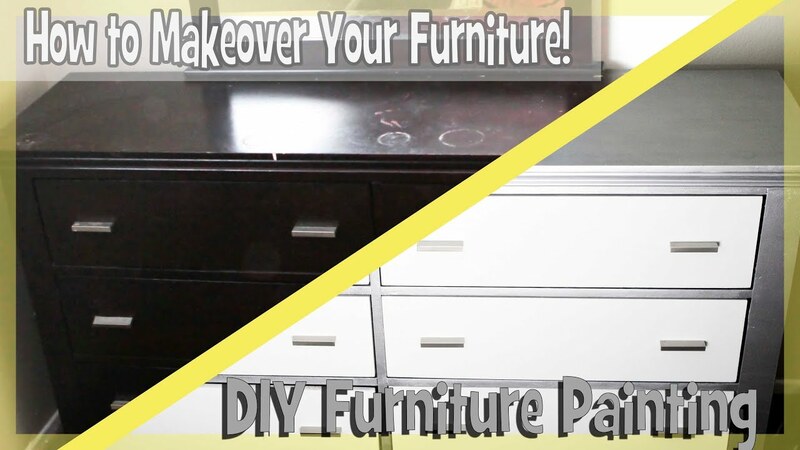 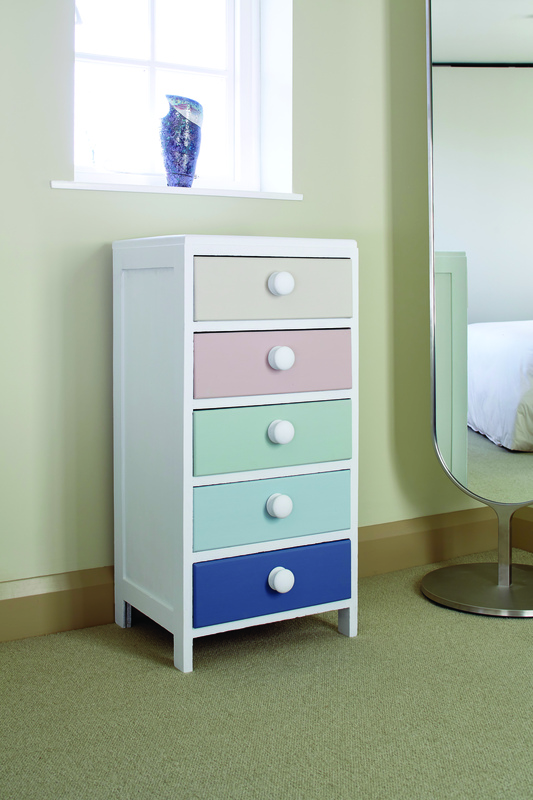 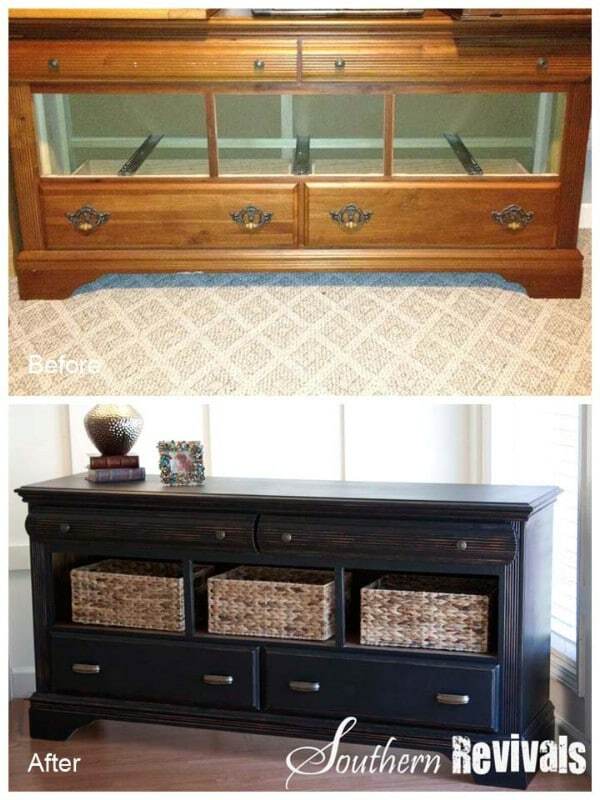 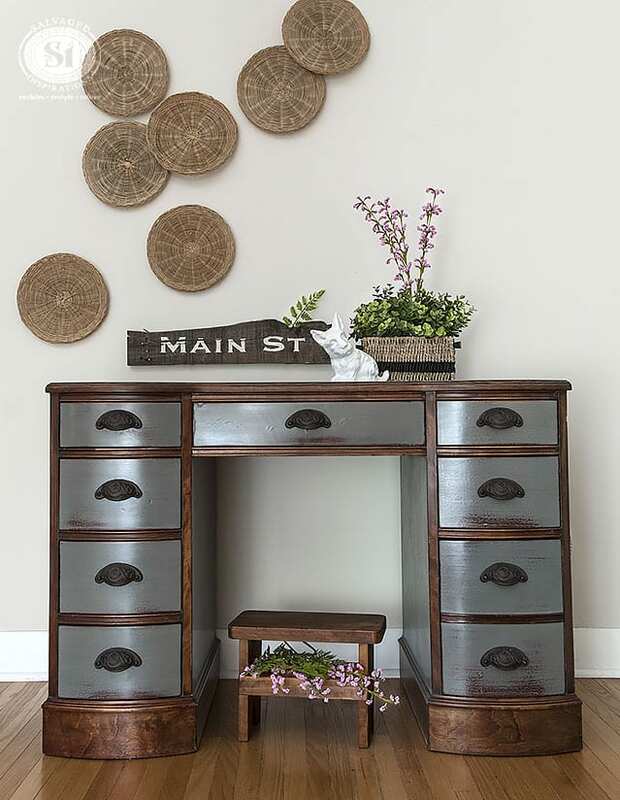 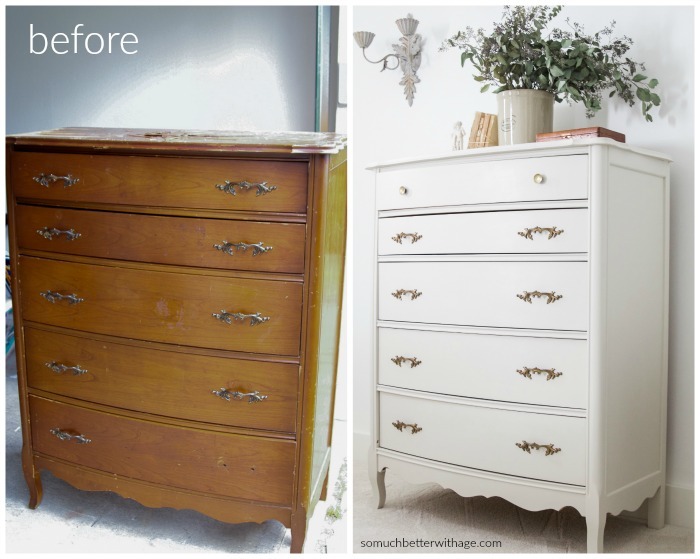 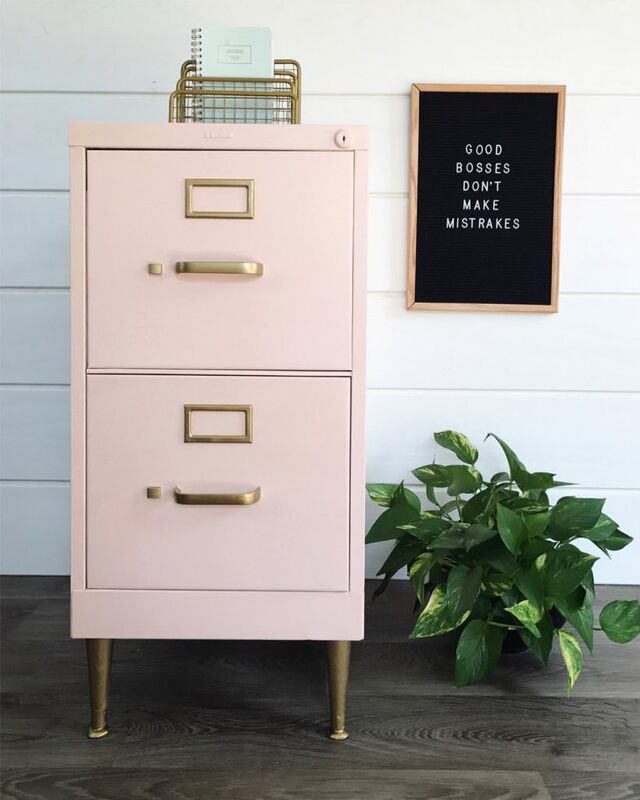 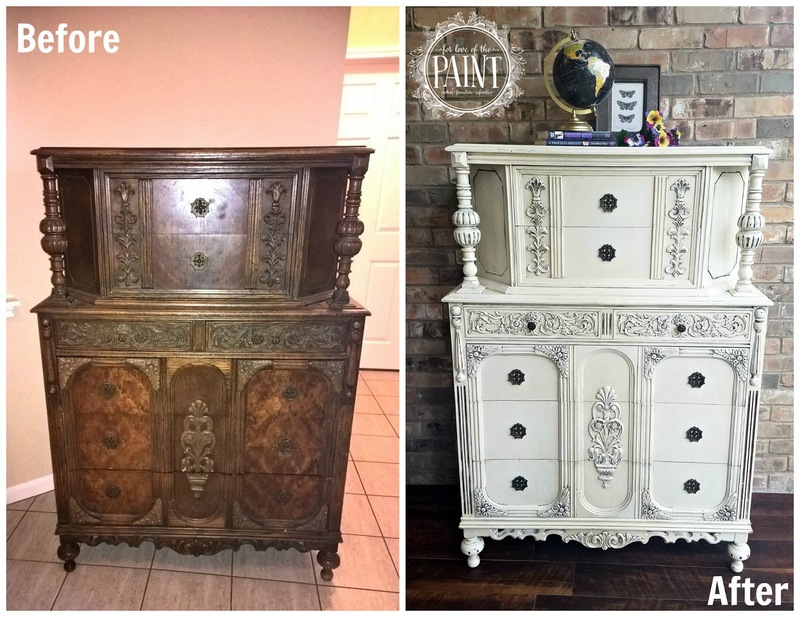 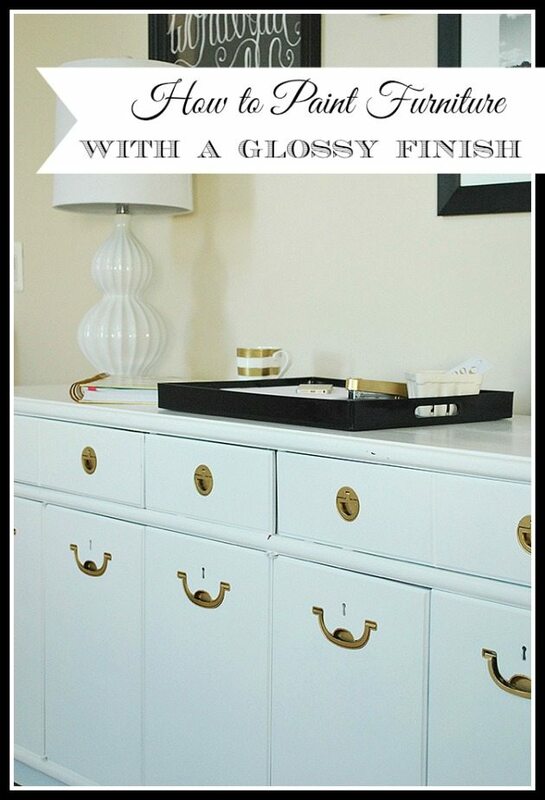 If you already own this discontinued dresser, don't forget to anchor it to the wall after your makeover. 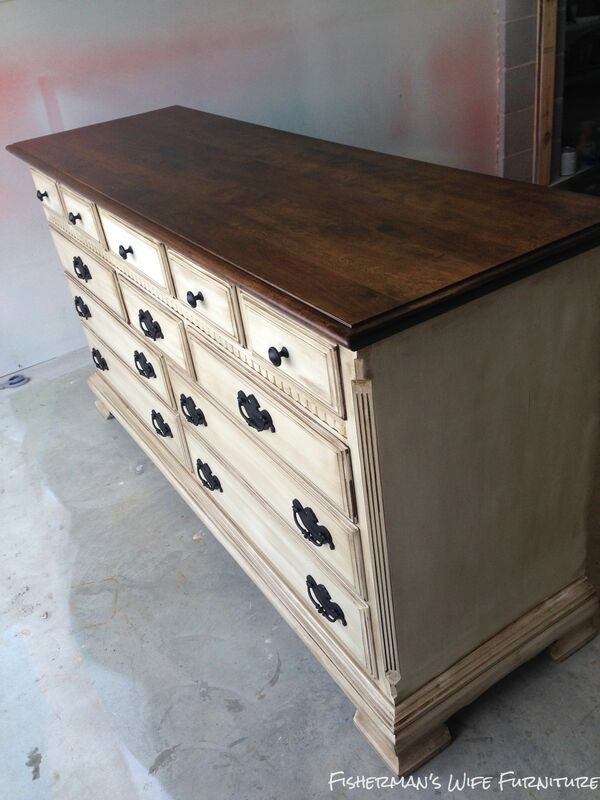 Dresser and Matching Nightstand in Antique White & Brown Mahogany. " 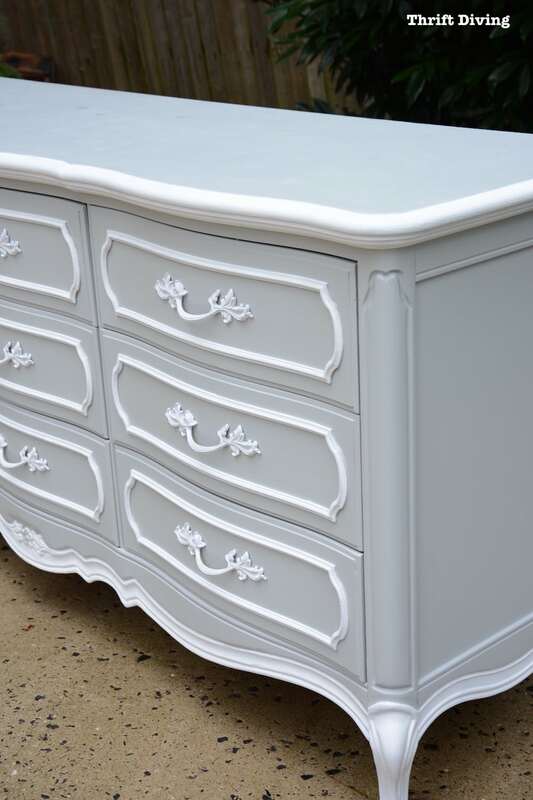 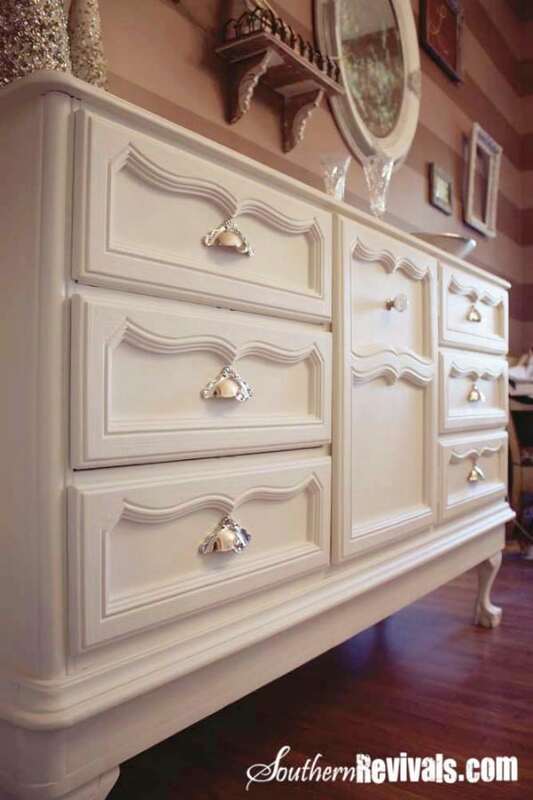 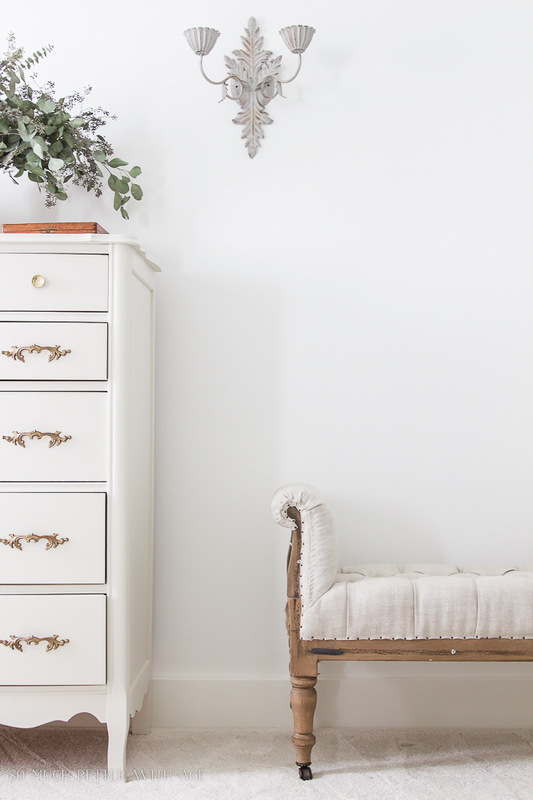 Delicate Dresser in Antique White. " 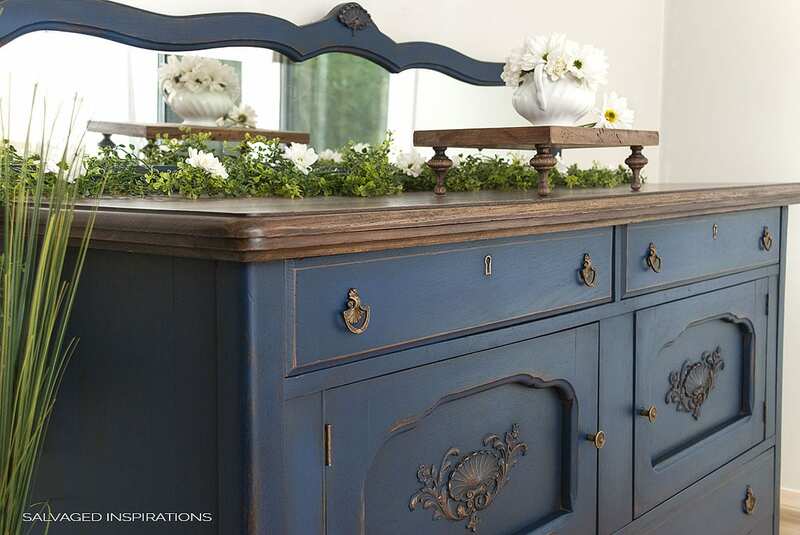 Elegant Buffet in Antique White Milk Paint and Antique Walnut Gel Stain. "